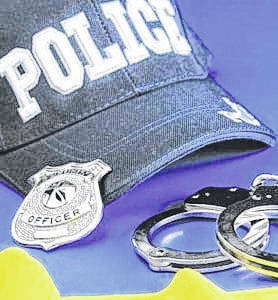 Washington Township — While on patrol, Officer observed vehicle traveling with the license plate not illuminated and not visible. A traffic stop was conducted and the driver contacted by Officer, who advised the driver of the reason for the stop. Driver stated that the vehicle was borrowed and they were not aware of the light. The driver also stated that they did not have a valid driver’s license, only a State Identification card. A tow was called for the vehicle due to no valid person available to drive. The tow arrived and the driver was given a citation for driving under suspension, a warning for the light and transported by the Officer to a nearby location. River Rock — On the listed date and time, Officer was dispatched to the location referencing an assault. Officer arrived, checking the outside of the location, finding no one, entered and observed a person with blood coming from their face. Officer contacted the person, who stated that the subject who had struck them had already left. Victim stated that they were seated with a coworker, when subject entered the business, began yelling at the victim, then struck the victim in the face. Officer spoke with the coworker, took statements from witnesses, gathered all information and cleared the scene. Markey St. — On the listed date and time, Officer conducted random license plate check and received information that the plate did not match the vehicle in question. The Officer confirmed this information and proceeded with a traffic stop. The Officer contacted the driver and passenger, asking the driver for their information and the vehicle information. Driver stated that they did not have the vehicle information, the vehicle was borrowed, and that they did not have their license. Driver was able to provide alternate identification, which the Officer verified as under suspension and the subject vehicle and plates were not matching. A tow was called for the vehicle and a tow/inventory form completed. The driver was cited for driving under suspension and fictitious plates, the tow arrived and the occupants were able to walk a short distance home. Main St. — While on patrol on this date and time, Officer observed vehicle travelling at a higher rate of speed that posted. Officer activated radar and confirmed the subject vehicle’s speed. The Officer activated the overheads and initiated a traffic stop. Upon contacting the driver and passenger, of the vehicle, the Officer detected a strong odor of marijuana was coming from the vehicle. Officer requested the driver and passenger information, and they complied. Dispatch confirmed the identity of the driver and as valid. Officer approached the vehicle and questioned the driver as to the odor coming from the vehicle, driver stated the location of the marijuana. Officer requested both occupants to exit vehicle and they complied. A vehicle search was completed, the drug was found and sealed into evidence. At this time, the driver was cited for possession and both occupants were released to go, with a warning for speed.